Travel has always been my passion. I travel as much as possible, and working online has allowed me to do so. Naturally, it followed that I created a website dedicated entirely to this passion. Places You’ll See is a pretty broad site that covers all sorts of travel, or places you can go and see. This includes vacation spots, destinations, hotels, cities and more. It can also include restaurants, foods, hiking trails, fishing spots and everything in between. Most of our content will be images as they are places you want to see, and the next best thing to actually visiting these places is seeing a picture. Thank you for visiting. You can contact me here. This is me. 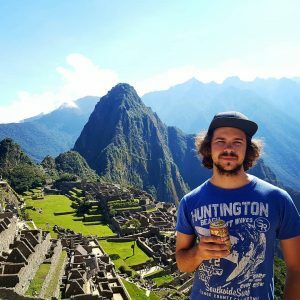 Born in Australia and have been travelling full time since 2014. In this time I have visited over 80 countries and nearly every continent (just Antarctica to go). A job that allows me to work online has made all of this possible and I am grateful that such an opportunity has presented itself. If you have any questions, suggestions or would like to work with Places You’ll See feel free to send me an email here.